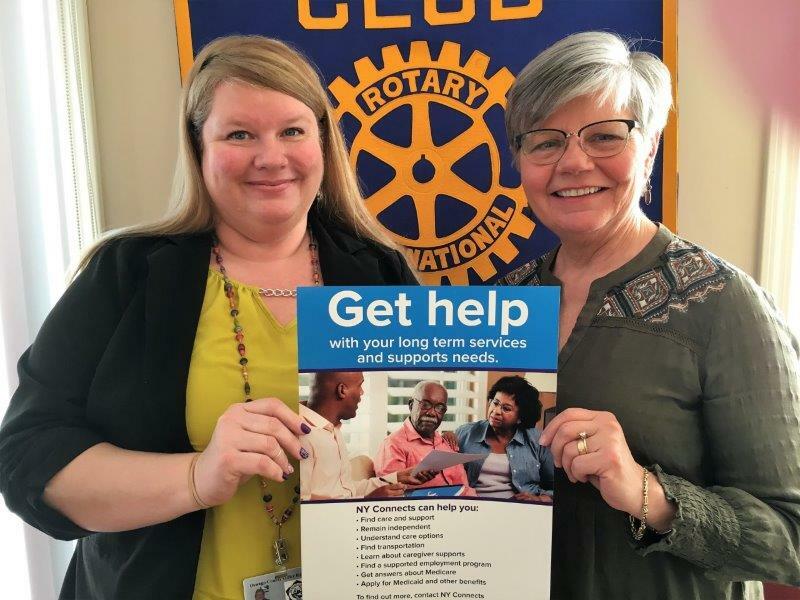 FULTON – At a recent Fulton Sunrise Rotary meeting, Rotarian Linda Eagan introduced Elizabeth Weimer, who is the Caregiver Services coordinator at the Office of the Aging in Oswego for NY CONNECTS. NY CONNECTS is for people of all ages, any disability and caregivers. 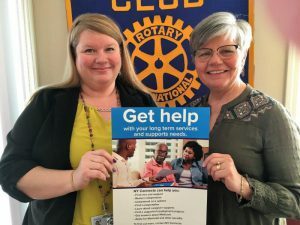 They offer long-term services and support needs for Oswego County residents. These services encompass personal care, education and counseling and, health and wellness among others. 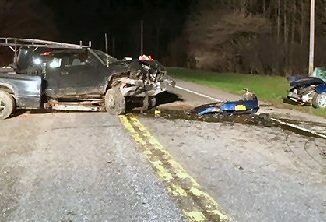 For more information, call 315-349-8697.